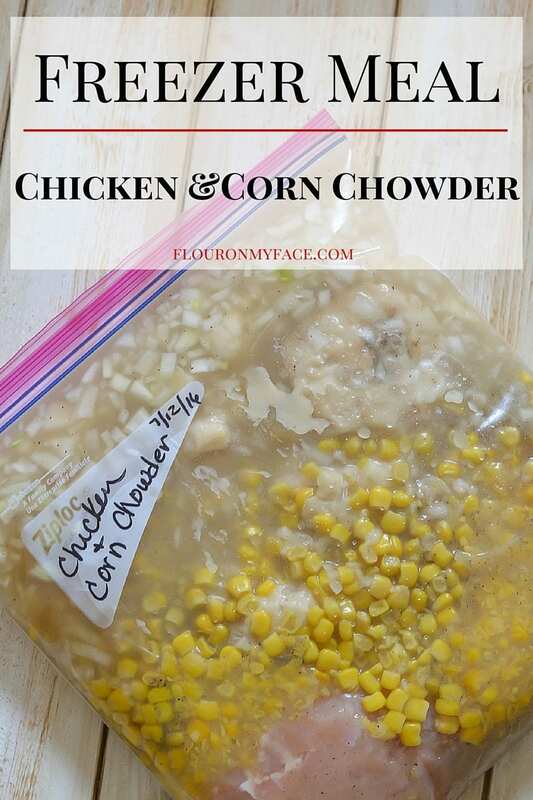 Dinner time is so easy when you have the freezer stocked with Freezer Crock Pot Meals like this Freezer Meal Crock Pot Chicken Corn Chowder recipe. Do you struggle at dinner time because you just don’t know what to cook? Or maybe you forgot to go to the store because you were so busy? Or you forgot to pull something out of the freezer early enough to cook it for dinner. When you make freezer cooking part of your life you will always have a meal ready to go. 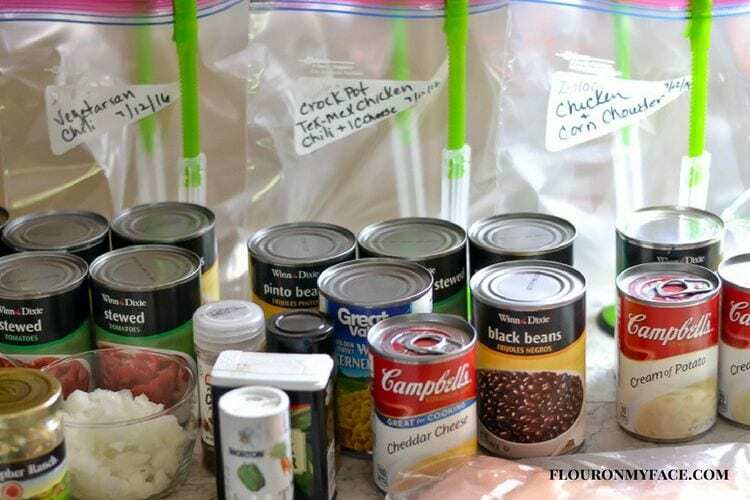 Simply pull the freezer crock pot recipe out of the freezer the night before to thaw and throw it in the crock pot the next morning or early afternoon. Place all of the ingredients except milk into a freezer bag. Remove all air and freeze flat. Place all the ingredients including the milk into a large soup pot. Slowly bring to a boil occasionally stirring. Simmer on low for about 2 hours or until the chicken breasts have cooked through. Once the chicken is cooked use two forks to shred the chicken into bite size pieces. Serve with crackers or crusty French bread. To Make Crock Pot Chicken Corn Chowder see my Crock Pot Chicken Corn Chowder recipe for directions. 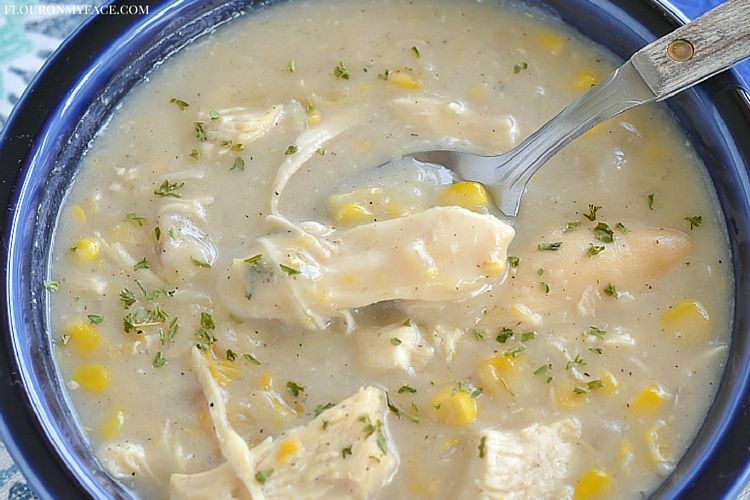 Stock the freezer with this easy Freezer Meal Crock Pot Chicken Corn Chowder recipe. Meal planning is mde easy with freezer cooking. Dinner time is easy when the freezer is stocked with prepared meals you cna throw in the crock pot slow cooker. See myCrock Pot Chicken Corn Chowder recipe for slow cooker directions. 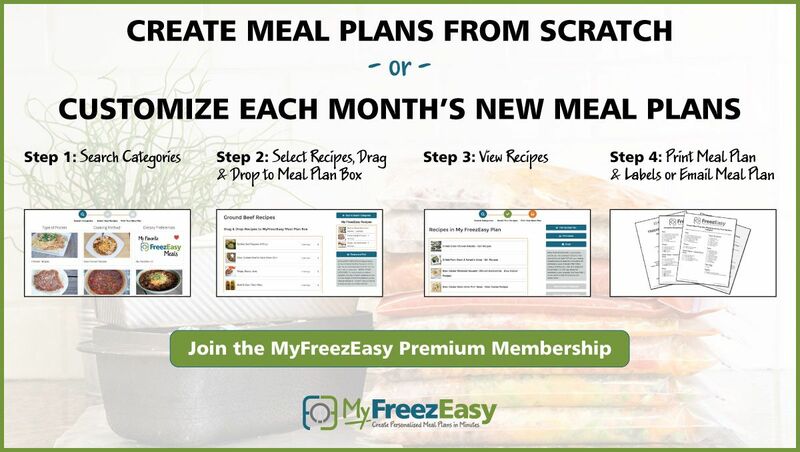 Disclosure: I am an affiliate of the MyFreezEasy Meal Planning from Scratch program. If you join I will earn a small commission. Don’t know where to start? Do you need a little help getting started with Freezer Cooking? Check out the one stop shop for MyFreezEasy! This looks so good. I have to try it soon. That’s really a good idea. I need to adopt the freezer meal idea so we don’t eat out so much. Kim your welcome! Freezer cooking can make dinner time much less stressful. So glad you share with us at Merry Monday. We always look forward to your yummy recipes. Can’t wait to try your recipes. This post will be Featured at the new party this week! Pinned.